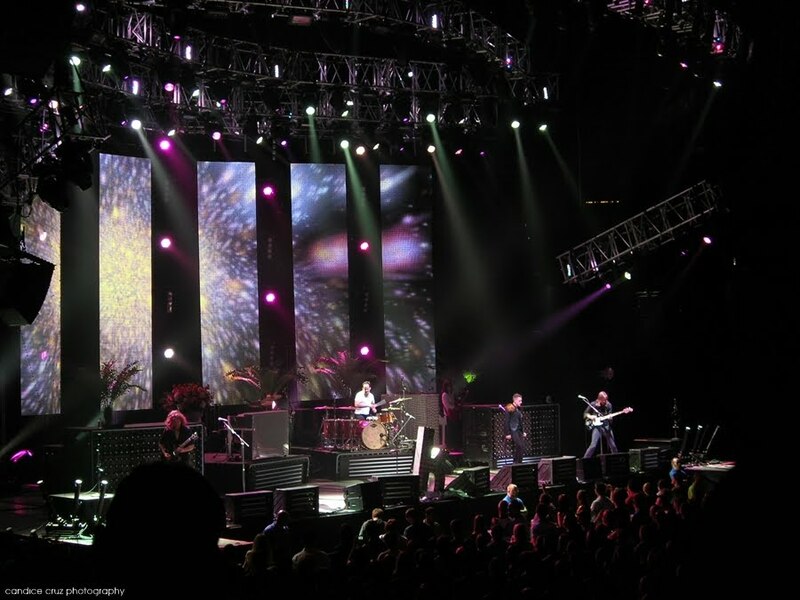 I don’t know if I should be embarassed by saying that I have seen the Killers live three times now. I mean, do people these days really follow musicians like that anymore? You know I am totally listening to them as I type this, right??! I have to say, they are definitely in my top three in terms of all-time favorite bands. Right now I’d say it’s the Cardigans, the Shins, and the Killers but not in any particular order. Basically, I think I would go out of my way to see any of them if they came to town and we have in the past. We drove up to Hampton Beach (New Hampshire) to see the Cardigans once and that was fricken awesome. We drove out to Lowell, Mass. 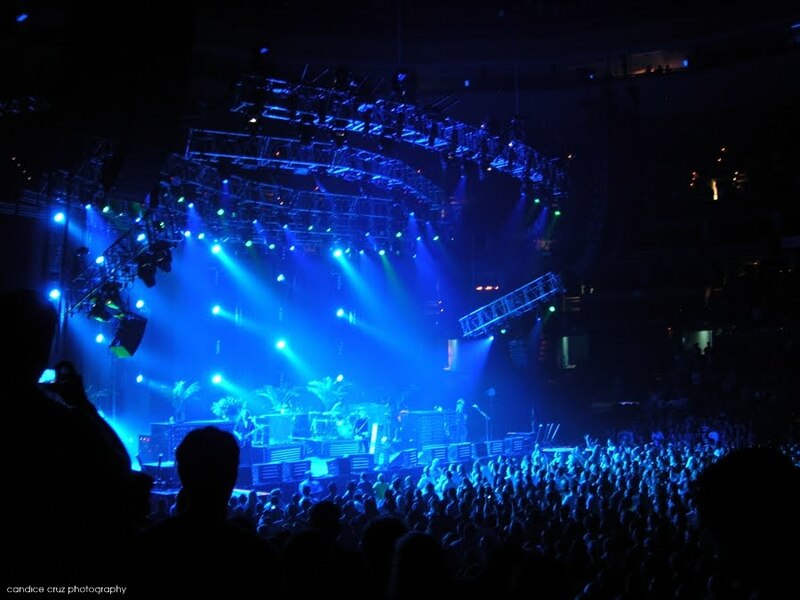 to see the Killers once too. Anyway, I digress. I was so happy to find out that Stephanie is a huge Killers fan like me (and Satoko who didn’t make it with us this time around) and that she wanted to go see them. When we met up for dinner before the show (read all about that here), we both commented on how it seemed like forever ago that I bought us the tickets, which I think was sometime back in January or February. I snagged this off Twitter after someone in their crew posted it online. 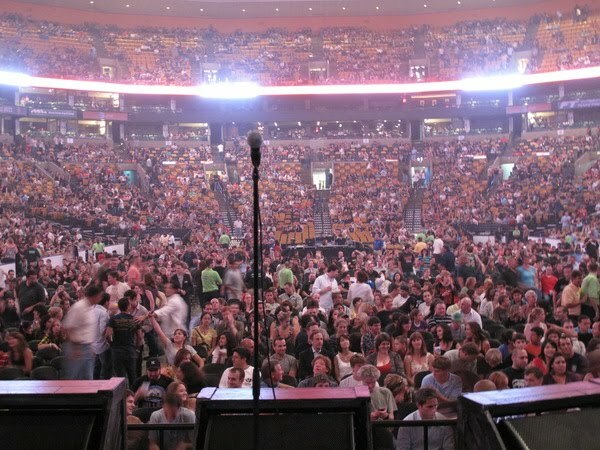 It’s a view of the Boston crowd a couple of seconds before they came on stage. Pretty cool angle. They played so many of their hits but surprisingly they didn’t do “Sam’s Town” this time. I guess because the first show that we saw them at was right after that album was released, so the focus was on those songs. 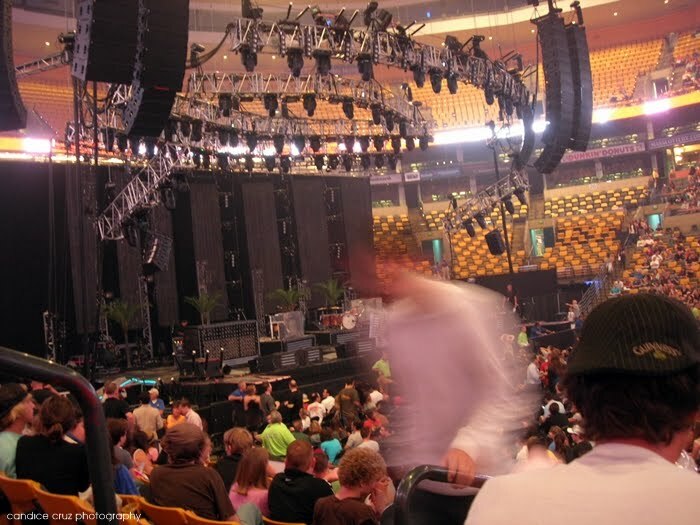 I don’t think we sat down once during the whole concert, which was awesome because they just kept rolling out hit after hit. Both Stephanie and I like “Bones” the best. In fact, it’s my cell phone ring tone now that I think about it! 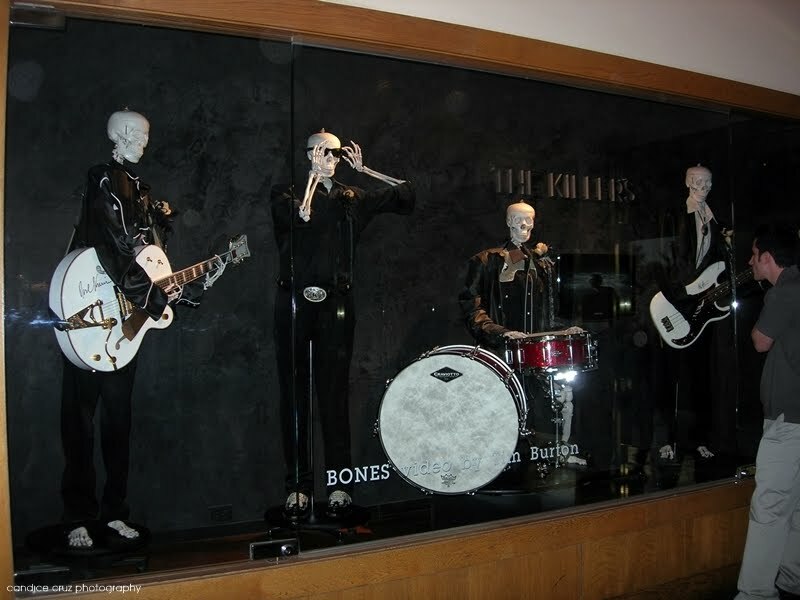 When Tony and I were in Las Vegas last year, we stopped by the Hard Rock Cafe casino and they had skeletons that they used in the video on display. Sweet. 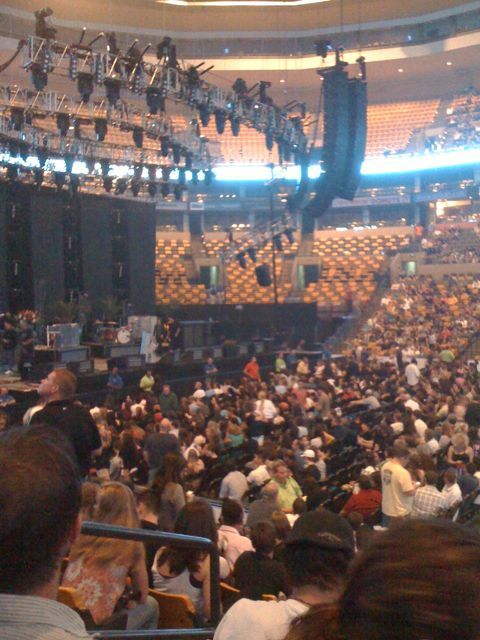 This entry was posted in Boston, concert, music, the killers by shortcakescraps. Bookmark the permalink.